Seize the deal before it’s gone. 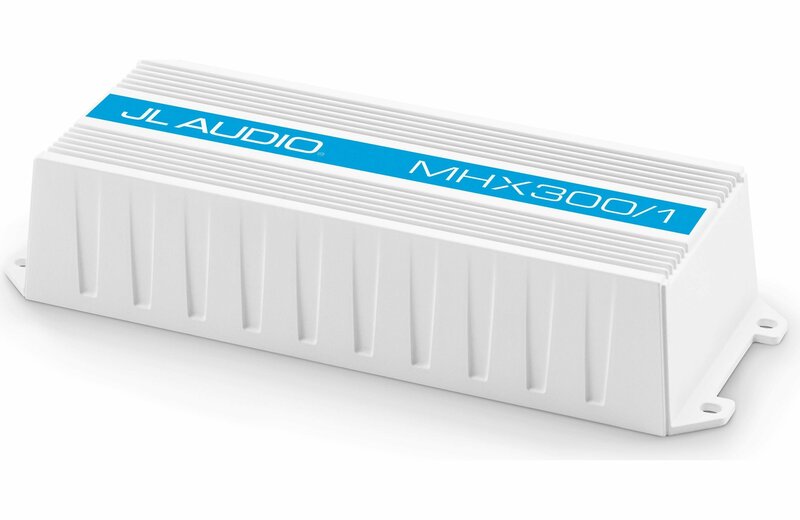 Check out JL Audio MHX300/1 sub amp $99.99 new, $90 scratch and dent, $85 open box at Crutchfield now. Find more discounts and offers from Crutchfield just at CouponAnnie in April 2019. Love a good bargain? To help you save more on Auto Electronics, Couponannie strives to offer you the best Auto Electronics deals 2019. On this Auto Electronics deals page, you can easily narrow your search and get the best deals by category, store, brand and price. There's a nice picture of each product and key discount information, including the original price, sale price and price drop percentage that tell you whether this deal is worthwhile. Check it out to starting saving. Here at Couponannie, you can find all things related to Auto Electronics at lowest prices, including ATV Electronics, Auto Accessories, Backup Cameras, Car Amplifiers, Car Audio Installation, Car Cameras & Safety, Car DVD and Video, Car Speakers, Car Stereos, Car Subwoofers, CB Radios & Scanners, Dash Cameras, GPS & Navigation, Heads Up Displays, Marine Audio, Motorcycle Electronics, Power Inverters, Radar Detectors, and many more. Shop some of the best Auto Electronics offers to save more than ever. When it comes to Auto Electronics, here’s the top retailers you could save with our Auto Electronics deals. Typically, major players include Advance Auto Parts, Auto Parts Warehouse, AutoAnything, Automotix.net, Autoplicity, AutoZone, Car And Truck Remotes, Car Toys, CARiD, Cheap Cycle Parts, Hands on Tools, HIDeXtra, Keyless Entry Remote, MAC's, O'Reilly Auto Parts, Pep Boys, Scosche, Smittybilt Depot, Sports Recreation Mall, TruckMonkey.com, and many more. If you shop online, make sure you read the return and exchange policies on retailers' sites. And to make sure you're getting a good Auto Electronics deal, search Couponannie for a coupon code or promo code that will let you save some extra bucks. But exclusions may apply sometimes, and discount applies to selected products or categories. Read them carefully, too. Thanks to Couponannie, you can save on Auto Electronics throughout the year! Check us out to see the latest Auto Electronics deals 2019 and enjoy extra savings on all your purchases! Saving money is just a click away.